The sponsor will have the opportunity to promote your product or services to meeting attendees with a tabletop display and/or placing your literature at each place setting. The sponsor will also be recognized with a brief introduction at the beginning of the meeting. If you are interested in showcasing your product or services at an upcoming Chapter meeting, please select from the following 2018-2019 Central Chapter Meeting dates and register as the meeting sponsor. 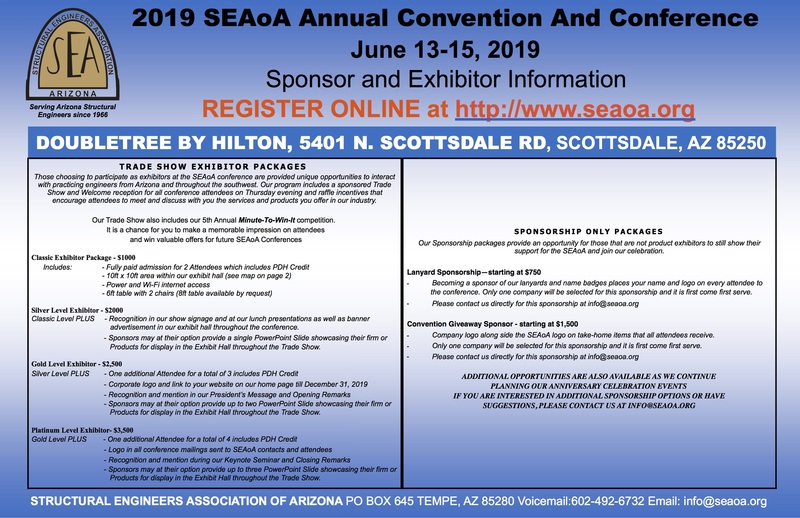 Any questions may be directed to info@seaoa.org.